It seems like everything is going mobile these days: Facebook, Twitter and now, even the Bible is going mobile. 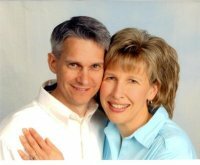 Jeff Swanson has developed a new organization of the Bible for eBook, which is suitable for reading on Kindle and other electronic devices. Students of biblical history who want a highly organized format for biblical study, the eBook version of God’s Word facilitates easier study and searching scripture, allows for keyword searches to find exactly what students are looking for and provides hyper-linking to each prophecy, “looping” it to trace the prophecy, guiding readers through the text with a simple click to each point at which it appears, and eventually leading users back to the launching point. Over 20 years in development, author Jeff Swanson calls The Plan “half eBook and half software programming,” taking the high-tech nature of this complete NIV translation of scripture a step further, using modern technology to match exact dates with biblical history. Swanson has used computer algorithms, predicated on the sixty-six dates in the Bible that can be accurately placed on a calendar in order to calculate the relative dates of the rest of the events in the Bible, resulting in an astonishingly accuracy rate of 99.9 percent, the modern answer to Archbishop Ussher’s 17th century calculations. 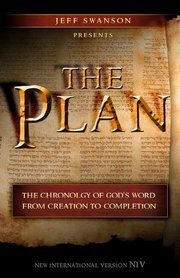 On October 31, 2010 The Plan BibleTM published the first chronology of God’s Word arranged event by event for history and prophecy. The largest Christian publisher has partnered with The Plan BibleTM on this endeavor that has spanned over 20 years development. After gaining the approval of the prestigious committee of bible translators the first release of the product is in eBook, available on Kindle, Apple, Nook and Sony eReader. Zondervan has stated that nothing else like it has been developed. The features include over 430 date calculations of biblical history, over 2,000 prophetic verses color coded to their fulfillments and over 2,500 prophetic verses that will be fulfilled in the future; all placed in outline format that reads like a single message starting with Creation and ending with the Completion of all ages. There are hyperlinks as well that take the reader from the declaration of a prophecy to its fulfillment, simply clicking on them eventually takes the reader back to the start of the thread. Tim LaHaye has been a long-time scholar of biblical prophecy and has published many titles, including co-authoring the left behind series, making his remarks on The Plan for eBook truly extraordinary, finding what Swanson has done as truly remarkable; presenting God’s Word is in a manner that was never before possible.